The book’s available in tablet format now, and in paperback in a matter of days. Many thanks to the lovely Pennie Smith for allowing MusicWordMedia to use this iconic image for the book cover. 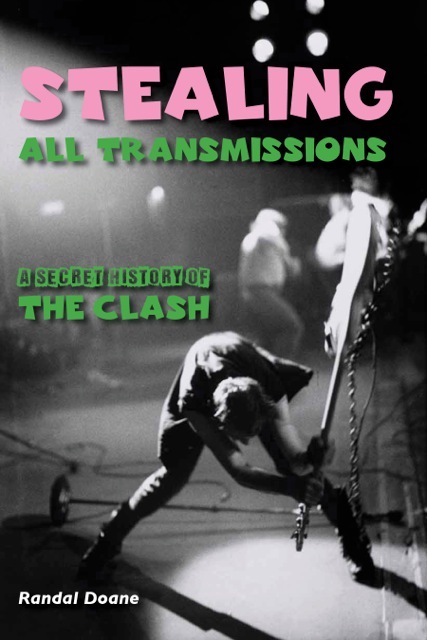 Thanks for checking out stealingalltransmissions, where I’ll blog periodically about my book, which is due out in paperback in a matter of days. I’ll also include interview audio footage, links to fun Clash stuff, and wax rhapsodical about the pleasure of punk.